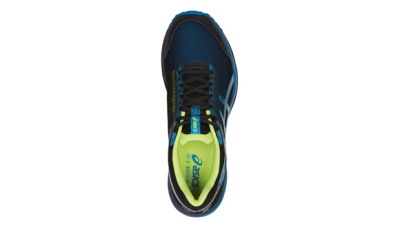 << Back Asics. GT 1000-7 GTX. BLACK-Blue. Sizes: 14. 15. 16. Asics. GT 1000-7 GTX. BLACK-Blue. Sizes: 14. 15. 16. High performance structured trainer combined with a Gore-Tex membrane. Sizes: 14. 15. 16. Set a high tempo during your longer training runs, even if the weather is against you. 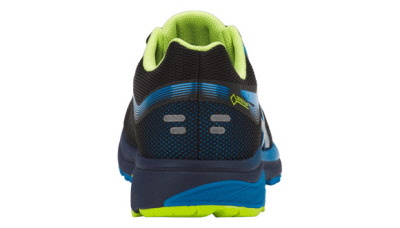 Your foot stays stable as you tire thanks to stabilising tech in the outsole and midsole. 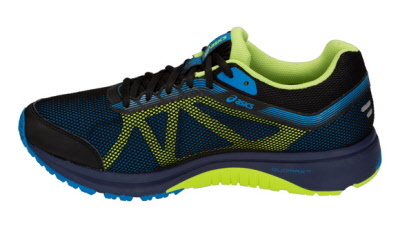 And you'll stay dry in the rain with a waterproof Gore-Tex upper.This running shoe feels like an extension of your leg. By using fewer layers, the upper effectively hugs your foot and feels just like a second skin. 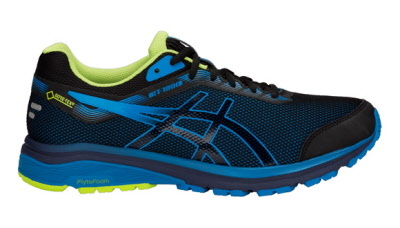 Get the support you need to take on long distances comfortably. 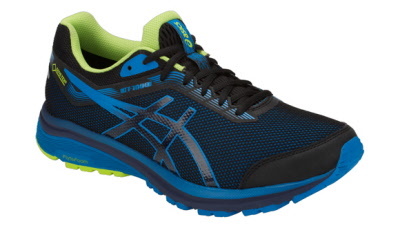 Just a great comfort stylish trainer. 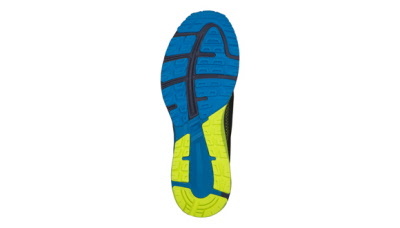 Lightweight Medium to high mileage runners Engineered mesh upper Better fit New upper construction Stability Higher density lasting and stobel Gore-Tex waterproofing. Duomax Basenet Platform Visible rearfoot GEL Ortholite last sockliner.